How many drinks would one need to drink to dull that absurdity? It never seems like enough for me. Maybe I have a problem. Woodchuck, you are dull enough as you are. 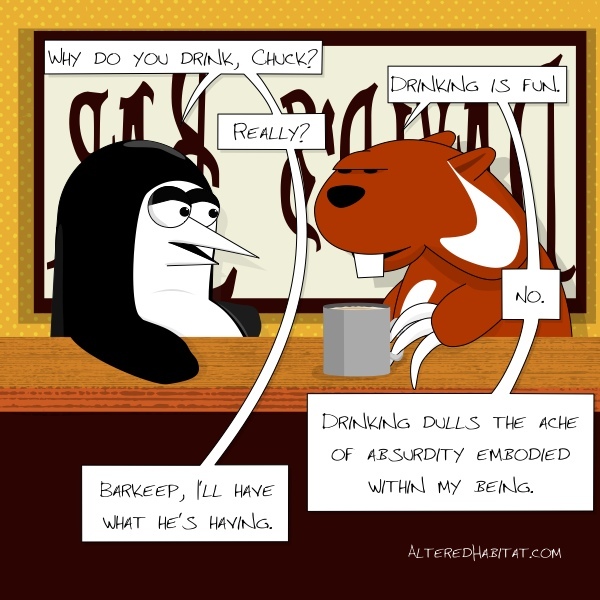 How many drinks would Woodchuck chug if Woodchuck could chug drinks?